Thanks for taking the time to submit your review. Please note that this page is for clients to provide reviews only. If you have a general request, please use our contact form here instead! We use reviews to improve our service. We do our best to stay on top of our industry, using the best and consumer friendly solutions possible for our clients comfort, health and the environment. If we missed something or "missed the mark" in any way, we need to know! We use reviews to hold ourselves accountable to our clients. We know we are in business because of YOU. We are accountable to you and the government agencies that regulate us. We use reviews to engender the trust of new, potential clients. We've been operating our business successfully since 1992 and we gain most of our clients from "word of mouth" referrals. 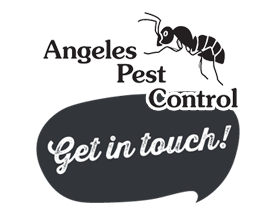 We appreciate you referring your family and friends when they are in need of pest control services. We post a sampling of our reviews on our website, being careful to protect your identity. We will only publish your name if you have given us permission. We NEVER publish phone numbers or email addresses with reviews. We ALWAYS call to discuss reviews!